Over the last few decades, the makeup of America is witnessing a change and the recent presidential elections brought some really new demographics on the table. At times when there is more right for all attitudes in the country, there are many other movements that are highly under consideration, like, corporate social responsibility. 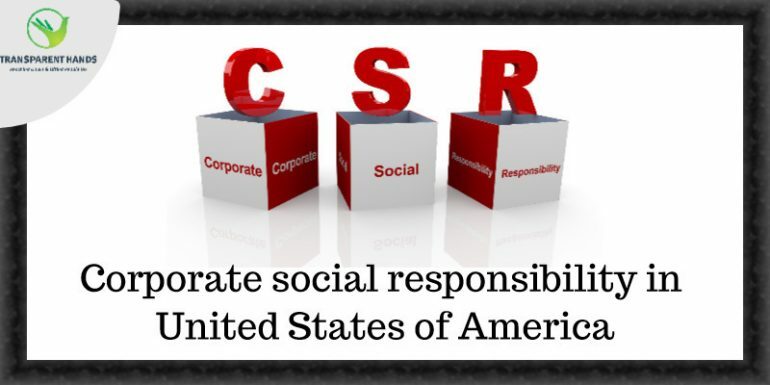 Corporate sustainability and Corporate social responsibility (CSR) in United States of America are no longer a part of fairy tales. Recent studies have shown a significant involvement as well as an impact of CSR on the success and sustainability of any organization, in this date. The American companies fostered the idea and are now well groomed in implementing the CSR and improving their abilities to attract and keep more and more customers and stakeholders with them. At the same time, they have taken benefits of it in terms of reduced risks, increased green production and addressing the concerns of stakeholders on a serious note. The previous political administration looked after the minorities in America and considers them as their major power. A number of studies have shown that the budding demographics that include the young, women, and minorities are more concerned about the environment and the social advantages and impact of the products or services they are paying for. The same is the case with the employees, as these categories of people are more concerned about what the companies are doing, for the society and the environment, they are working for. Young professionals are more concerned about the term sustainability. They always keep a check of what is the impact of their steps on the ecosystem on the whole. At the same time, women are found to be more concerned about the planet. They are found to be more careful about the recycling of products, making an eco-friendly purchase and living an eco-friendly life. Through a number of surveys, it was found that the women believe that companies play a major role in any community and through the Corporate social responsibility (CSR) in United States of America they make a direct impact on the buying decisions of the customers. It was also found that the customers are more tend to buy from the brand that belongs to a company which is more concerned about the eco-system and social causes. The corporate social responsibility also has an impact on the internal environment of any corporate system. It has a direct impact on the decisions of the company and shows their concerns about the society and sustainability. At the same time, their attitudes towards the Corporate social responsibility (CSR) in United States of America effect the talent attraction, directly. The more a company is concerned about its role in the society and the global system, the more it will be able to find good and innovative talent to its platform. According to recent studies, it has been found that the young talent is more inclined to work for the organization that is environment-friendly and work more for social causes, sustainability, and philanthropy. Just like in any other part of the world the corporate social responsibility is highly appreciated and is implemented in the corporate world in Pakistan. Organizations like Transparent Hands are well formulized in implementing and executing the concept in all their national and international projects. Overall the sustainability and CSR programs are on the rise among American companies. Leading corporate entities like Novo Nordisk, Unilever, and Nike have redefined the terms sustainability and success. The revolutions are already there are the researchers suggest that the corporate entities must implement the CSR and sustainability programs to gain a long-term success.